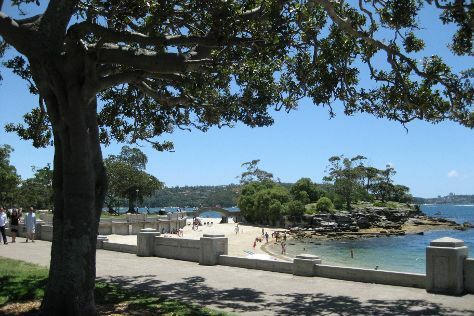 Start off your visit on the 23rd (Sat): take a memorable tour with Tours, tour the pleasant surroundings at Manly Scenic Walkway, then kick back and relax at Balmoral Beach, Mosman, and finally test your team's savvy at popular escape rooms. For more things to do, maps, and other tourist information, read our Sydney trip maker site . Bristol, UK to Sydney is an approximately 27-hour combination of train and flight. You can also fly; or do a combination of train and flight. The time zone difference moving from Greenwich Mean Time (GMT) to Australian Eastern Standard Time (New South Wales) (AEST) is 10 hours. In March, plan for daily highs up to 30°C, and evening lows to 22°C. Finish up your sightseeing early on the 23rd (Sat) so you can travel to Coffs Harbour. 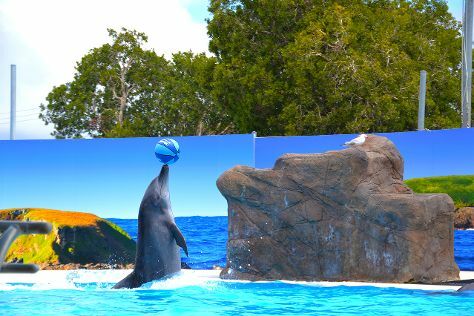 Kick off your visit on the 24th (Sun): admire nature's wide array of creatures at Pet Porpoise Pool - Dolphin Marine Magic, take some stellar pictures from Mutton Bird Island Lookout, then take some stellar pictures from Forest Sky Pier, and finally kick back and relax at Diggers beach. To find photos, other places to visit, where to stay, and other tourist information, use the Coffs Harbour route maker site . Traveling by flight from Sydney to Coffs Harbour takes 4 hours. Alternatively, you can do a combination of flight and bus; or drive. Expect a daytime high around 30°C in March, and nighttime lows around 21°C. Wrap up your sightseeing on the 24th (Sun) to allow time to drive to Byron Bay. On the 25th (Mon), soothe aching muscles at some of the top local wellness centers, tour the pleasant surroundings at Belongil Beach, then make a trip to The Byron Bay Book Exchange, and finally kick back and relax at Lennox Head Beach. Use Inspirock's suggestions to plan your Byron Bay trip and find the best activities and attractions for your vacation. Traveling by car from Coffs Harbour to Byron Bay takes 3 hours. Alternatively, you can take a bus. Expect a daytime high around 32°C in March, and nighttime lows around 20°C. Finish your sightseeing early on the 25th (Mon) to allow enough time to travel to Tweed Heads. Tweed Heads is a city in New South Wales. Start off your visit on the 26th (Tue): have some family-friendly fun at Tabatinga Family Fun Centre Tweed Heads and then enjoy the sand and surf at Fingal Beach. To see more things to do, ratings, where to stay, and other tourist information, refer to the Tweed Heads online route builder . You can drive from Byron Bay to Tweed Heads in an hour. 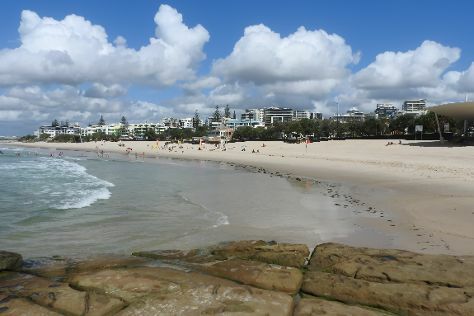 In March in Tweed Heads, expect temperatures between 32°C during the day and 23°C at night. Finish your sightseeing early on the 26th (Tue) to allow enough time to travel to Gold Coast. 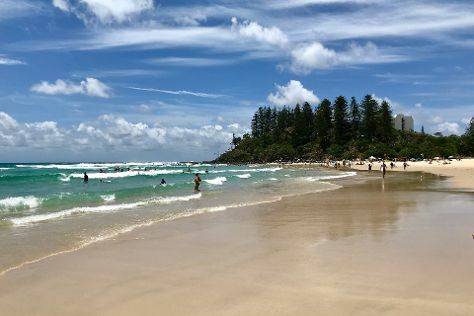 Start off your visit on the 27th (Wed): enjoy the sand and surf at Kirra Beach, kick back and relax at Coolangatta Beach, and then explore the wealth of natural beauty at Burleigh Head National Park. To see photos, ratings, and more tourist information, read our Gold Coast vacation builder site . Drive from Tweed Heads to Gold Coast in an hour. In March, plan for daily highs up to 32°C, and evening lows to 23°C. Finish your sightseeing early on the 27th (Wed) to allow enough time to drive to Noosa. Kick off your visit on the 28th (Thu): enjoy the sand and surf at Peregian Beach, soothe aching muscles at some of the top local wellness centers, and then stroll through Maroochydore Beach. Get ready for a full day of sightseeing on the next day: kick back and relax at Kings Beach, stroll through Bulcock Beach, and then make a trip to HMAS Brisbane. To find traveler tips, ratings, reviews, and tourist information, use the Noosa trip builder tool . You can drive from Gold Coast to Noosa in 3 hours. Alternatively, you can take a bus; or take a train. Wrap up your sightseeing on the 29th (Fri) to allow time to drive to Brisbane. Start off your visit on the 30th (Sat): see the interesting displays at Museum of Brisbane, get a sense of history and politics at City Hall, then admire all the interesting features of Suncorp Stadium, then take in the views from Story Bridge, and finally take a leisurely stroll along Eagle Street Pier. To find where to stay, photos, reviews, and tourist information, read Brisbane driving holiday planner. Getting from Noosa to Brisbane by car takes about 2 hours. Other options: take a train; or take a bus. In March, plan for daily highs up to 32°C, and evening lows to 23°C. Finish your sightseeing early on the 30th (Sat) so you can travel back home.